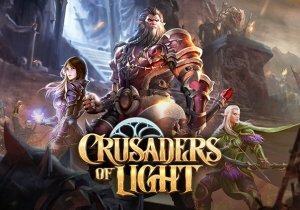 The most recent update to Crusaders of Light expands the game with the “Battle for Karanvale – Part 2”, out today. This update shows off two new team raids, the new Shadowveil Assassination PVP role and much more. The game’s one-year anniversary is almost upon us, coming in July, which they also begin the countdown to. Dawn Cathedral: Choral Courtyard is one of the new team raid/dungeon locale, where the enemy grows in strength as their numbers diminish. A Heroic version of the previously released Kothas Foundry team raid is also now available, and are available to challenge players who have hit level 55 and have level 70 talents. Adding intrigue to Shadowveil Assassination mode, players will now be assigned one of four distinct roles, which feature different skill sets to utilize in their PVP attacks. Now through July 16th, players can also collect random anniversary chests full of loot, gear and limited edition items (such as the super rare “ghost rider” motorcycle mount). They can start being opened on July 16, or redeemed for a large amount of gold at any time. Sweetening the pot, players who log in for seven consecutive days during the anniversary countdown period will get login rewards and free daily anniversary chests — including the highest level Diamond Chest on the seventh day with prizes that could equal hundreds of dollars worth of in-game items. Epic 9.4 will provide players with plenty of new challenges to test their power and speed. Deep Silver announces the release date and pre-order details for Sacred 3. The star (or stars, as we should say) of Dungeon Crash 1.6.1 are three new mythical heroes, the Samurai Generals.